in Iraq and Afghanistan is to get a makeover, according to the country’s defense procurement organization. 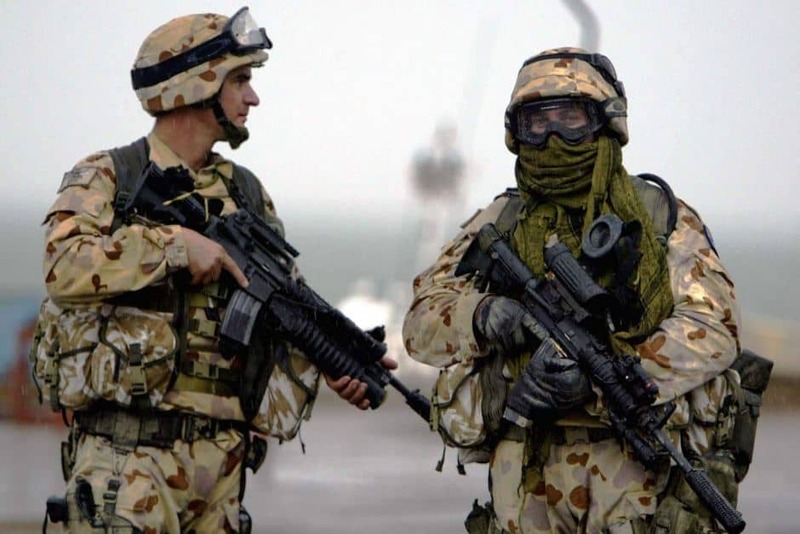 The recently fielded Modular Soldier Body Armor made by Australian Defense Apparel is undergoing further development work to make it lighter and more modular, the Army has said. Chief of Army Lt. Gen. Ken Gillespie said the changes were because the environment and the nature of the tasks that Australian soldiers perform had changed. “Originally designed for use in Iraq where the majority of operations were mounted, it is now being adapted to better deal with the dismounted operations increasingly being conducted in Afghanistan,” Gillespie said in a Ministry of Defense statement. 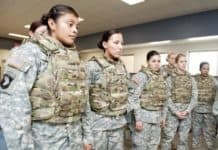 Future enhancements include expansion of the soldier body armor to a multi-layered system, allowing for greater options for ballistic protection and options for mobility to meet prevailing threats, he explained. Gillespie said the current soldier body armor provided superior ballistic and blast fragmentation for soldiers, but providing soldiers with the best equipment was an ongoing process. 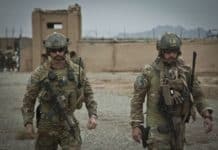 Soldiers will continue to use a lighter bod armor variant that affords greater mobility until the new body armor arrives. He gave no date for its introduction. The decision comes after an inquiry into the death of an infantryman, Cpl. Mathew Hopkins, in Afghanistan in March. Officials noted in their July report the concern Hopkins’s comrades had about the weight of the soldier body armor they wear. But the weight of the armor Hopkins was wearing when he was killed was not a factor in his death. The MCBAS project was set up August 2005 to supply the next generation of soldier body armor. Australian Defense Apparel won the contract in 2008 and manufactures the armor at its facility in the city of Bendigo, in the state of Victoria. ADA was founded in 1912 by the Australian government and privatized in 1995. The MCBAS five-year contract more than doubled ADA’s turnover in 2008-09, the company said at the time. ADA also has a partnership with British soldier body armor specialist Aegis. MCBAS is part of the larger, more encompassing Land 125 Soldier Combat Systems project. Land 125 SCS began in mid 2005 to modernize all the equipment used by infantrymen when in close combat. Improvement in design and roll-out of modifications are being done as an ongoing process and only if new technology has been thoroughly proven beforehand, according to the Ministry of Defense project overview. Apart from soldier body armor, Land 125 SCS is looking to improve a soldier’s personal radio, helmet, carrying equipment and protective padding. Land 125 SCS also includes the recent development by Thales Australia of a special mount for a thermal weapon sight. The sight is for use with the standard-issue gas-operated F88 Steyr assault rifle made by Australian Defense Industries in Lithgow, New South Wales. Thales Australia bought 350 thermal weapon sights from a third party and designed and manufactured a mounting mechanism to attach it to the Picatinny rail of the F88 rifle. Thales is responsible for lifecycle support of the thermal weapon sight. In a separate statement, Greg Combet, minister for defense personnel, materiel and science, said a delivery schedule for Australia’s purchase of 100 joint strike fighters will be decided by the end of the year. Combet made the announcement while on a recent visit to the aircraft production unit at Lockheed Martin in Fort Worth, Texas, to view progress on the U.S.-led JSF program. “The visit has reinforced my confidence that the JSF is the right aircraft to meet Australia’s future air combat needs and represents value for money for the Australian taxpayer,” Combet said. “In the 15 months since my last visit to the U.S. to review progress on the JSF, it is clear that the U.S. government continues to provide strong support for the program and Lockheed Martin continues to make good technical progress. Australia’s 2009 Defense White Paper confirmed that the government will buy around 100 aircraft. The written statement said Combet reiterated that the government will not formally commit to buying planes until it has confidence that the JSF program is meeting cost, schedule and capability goals. “The final timing of Australia’s JSF acquisition and the delivery schedule will be decided by the government in late 2009,” he said.